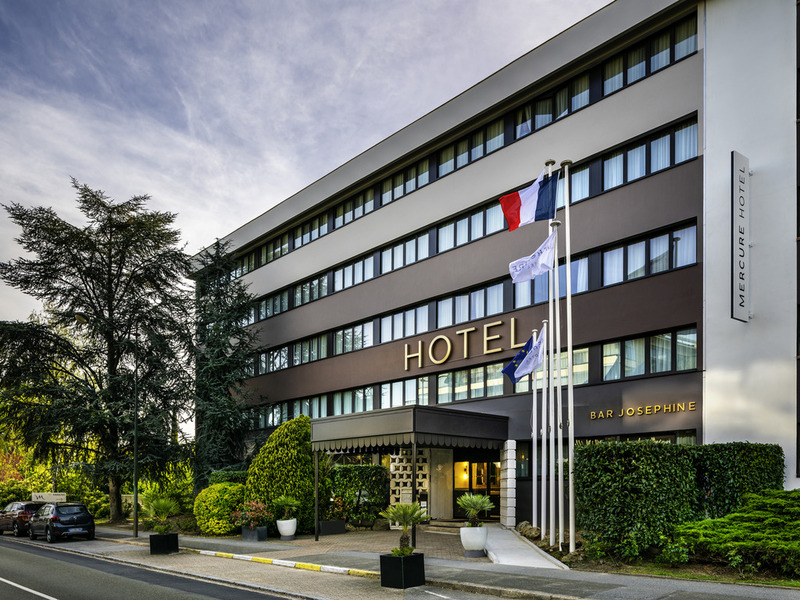 Situated close to the Parly 2 shopping centre, 15km from the Eiffel Tower and 25km from Orly Airport, the 4-star Mercure Versailles Parly 2 offers comfortable, air-conditioned rooms. With a stylish and welcoming interior, you will find all the facilitiesy ou need for a quietly industrious business trip, plus a hotel bar for when you need to unwind. This hotel has a range of quality services making it equally suitable for conferences or family breaks. Make the most of a business or leisure trip to take in a bit of culture. Explore Versailles itself, the Chevreloup Arboretum, a tour of the Impressionists, and shop til you drop at the Parly 2 shopping centre. Choose from the different room categories according to your needs: the Standard Room or Privilege Room offering a wider range of services. For such an expensive hotel room (150 € / night), you have a small, old-fashioned and dirty room. The bathroom had that mold smell. There was mold in the shower, I was afraid to step on it so I was always using a towel. There was not enough light, only bedside table lights (yup, no ceiling light for 150 € / night). I've already been to Mercury Hotel in Saint Cloud in August 2017 and it was amazing! The hotel was very nice and cozy, the room was warm and *clean*. And (!!!) it was twice as cheap. I will definitely not return to this hotel in Le Chesnay. I asked day before for the bill until end of my stay. Bill was done 1 day before I left. Have got 2 bills with trouble as follow up. Never again this hotel. Great room and hotel - confortable bed and clean silent room. Bathrooms/shower of the old Privilege rooms are not well conceived, impractical. Toilet flush are old. Friendly staff who allowed us to work in the nearby room throughout the day. Good free parking. Good free WiFi. Excellent shower and bed. All the essentials of a stay-over hotel, for me. The breakfast is priced ridiculously high at €17.50, so I can never comment on the Mercure breakfast; maybe it features unlimited caviar. I have been staying at this hotel for over 30 years, since it's very convenient for me visiting friends nearby. Nice, clean, and modern rooms. Friendly staff. Downsides: No gym. A gym is almost a need to have if you are on a longer business trip. A gym is standard in the US-hotels, but apparently not in France. all good , staff , breakfast , room , bar . Correct hotel, looks a bit old-fashioned from the outside, but all OK. Nice room and nice breakfast and friendly staff. All was correct, however there was some pipe or humidity problem and the room had an unpleasant smell. Once reported, they took action and improved. Up to the usuual standard! Exactly what I expect from Accor/Mercure - nothing to fault. Although the room is big the pillow is so uncomfortable. The staff at the breakfast very unqualified, unfriendly. Almost nothing to eat, we had to ask for some eggs several times. no plates available. one staff member was trying to set up empty tables and the manager kept telling her not to because they had nothing to offer while the service was 2 hours from its end. A bit dated but very clean and very well maintained! Very smooth. Nothing to complain.